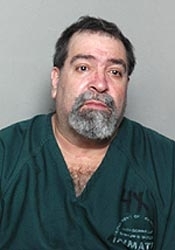 JUNE 24--A Florida man shot a teenager after ordering him to pull up his sagging pants, according to police. John Constantin, 54, was arrested Saturday afternoon after allegedly shooting David Mitchell, 18, once in the stomach. According to witnesses, Constantin directed Mitchell to pull up his pants while he followed the teenager in the courtyard of his Jacksonville apartment building. After Mitchell asked Constantin why he was trailing him, the pair began to scuffle. During the confrontation, Constantin shot Mitchell with a small caliber handgun (the teen was later released from the hospital with the slug still in his side).